THE HOUSE of Lords have rejected a amendment to the Brexit bill which would have pushed for the UK to remain in the single market after leaving the EU. 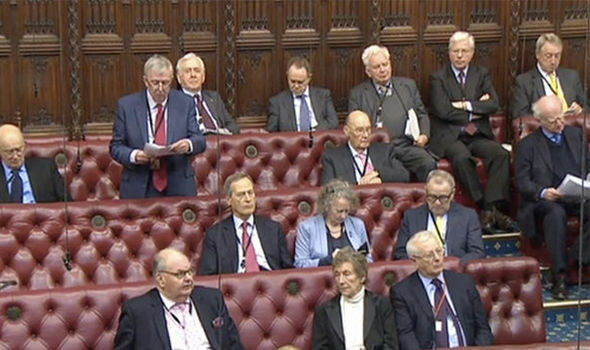 Peers voted overwhelmingly against the proposal this evening, with one frontbencher slapping it down as “unrealistic”. By a margin of 299 to 136, with a majority of 163, peers chose not to slow down the bills passage through the House after it successfully passed through the Commons earlier this month. Nonetheless, the move did expose deep divisions within Labour as former Cabinet ministers Lord Hain and Lord Mandelson spoke in support of the change - contrary to the frontbench stance. 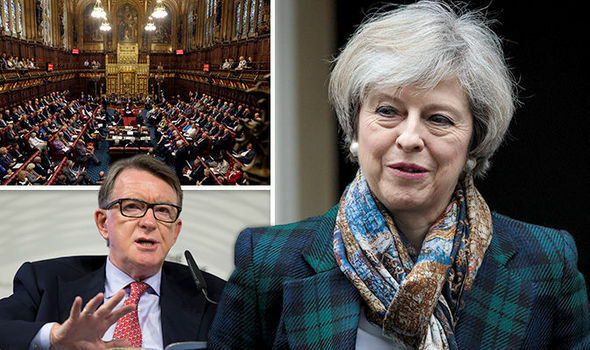 Former business secretary Lord Mandelson warned in the committee stage debate on the Bill it would be an "economic disaster" for Britain to leave the single market. Opposition frontbencher Baroness Hayter of Kentish Town, however, accused supporters of the amendment of offering "unrealistic hope" of staying in the single market while leaving the EU. Warning against re-running the arguments of the referendum campaign, she said Britain would be recipients of rules set elsewhere. She added: "With regard to free movement, we cannot simply airbrush this from the referendum decision. "For if we turn round to those who voted out, and we say 'yes we are out, but actually we are still having everything exactly as it was, we are still having free movement unchanged', I think that might emit some surprise." In a tense exchange, Lord Mandelson then intervened on the Labour minister and dismissed her concerns. He said: "We would not be mere recipients my lords, we would be large, senior, influential members of the EEA, negotiating our membership of the EEA in terms that would give us significant influence over policy-making and rule-making in the European Union. "Everyone accepts that and I cannot understand why my own frontbench cant see it." The clash came after earlier amendments to the European Union (Notification of Withdrawal) Bill calling for a further referendum on the final agreement and backing the maintenance of an open border between Northern Ireland and the Republic of Ireland were withdrawn.